People say about our translators..
excellent! if you want to find a better translator, you will not find one. i have tried them all and this is the best! Translation from spanish: Practical and useful, very useful and practical application to my 2 beautiful daughters. Not bad, not bad at all...I find that, according to my 'only Spanish speaking' friends, it seems to be a bit more accurate than google translate. Thanks for your help! Translation from japanese: It is great. I love it. This is an excellent tool for anyone who wants to learn a language at any level 10 out of 10. 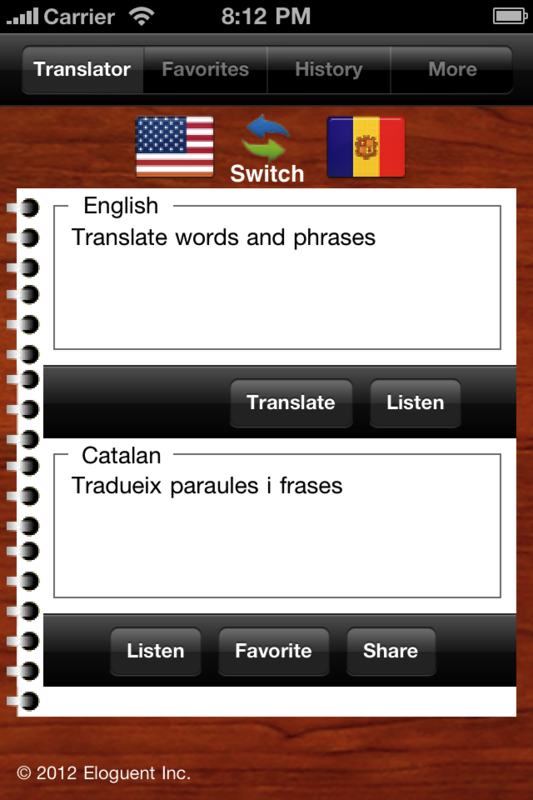 Top App, Very useful translating tool. I'm learning Korean at the moment and this application is a great help. Superior, This is an excellent translator as it allows you to listen how it sounds whole phrases in other languages. GREAT APP!! !, Fast. Quite accurate and I love that I can hear the correct pronunciation. Formidabelt! - Det er flott! Jeg kan snakke norsk nå! Translation from norwegian: Formidable! -It's great! I can speak Norwegian now! - Reviews from the App Store.